This week's book goes to Liz Long's much anticipated sequel to Gifted, Burned. I really enjoyed the feel of the first book and was excited when I learned that the sequel was out. When the author approached me about reading it, I of course said yes right away. 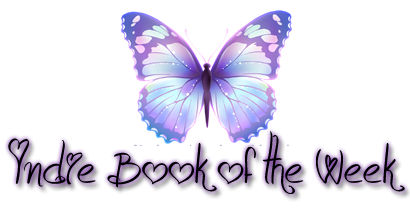 I have only ever read a handful of books involving the circus in one form or another but like I mentioned in my review of Gifted, the first book in the series, I have loved all of them. Even though I don't ever intend to become part of a circus, I do love reading about how people from all walks of life come together to form one gigantic family. The love, friendship and loyalty they have for one another is truly something to be desired and appreciated. I was really looking forward to jumping right back into Lucy's world and her life with the circus and her gifts as well as all those around her. Long really did create something that stands out in the genre. While this one moved at a slower pace than the first one, it was still a pretty good sequel worthy of the first. It had all the same great characters that we came to love in the first book and that pesky love triangle was (finally!) resolved which, I must admit, really made me like this one even more. In short I would say this was a captivating read that was well written well edited and the plot line moved along steadily. Some of my questions from the first book were answered in this one as well as still leaving room for more to come. The characters grew, which I love in books/series and I came to like them all the more because of it. This is a fun series that I truly think anyone will enjoy whether they are a fan of the genre or a first time reader. I hadn't heard of this series before, but it sounds good. I don't think I've ever read a circus book before. I hope you can give it a try Megan! I hadn't heard of this yet, but I do love books set at a circus! It sounds wonderful! Wonderful review, I find Carney life to be fascinating but like you wouldn't want that life. This sounds like an interesting look at it, and I am so glad you enjoyed it. Wow, now that is extreme Ferris wheeling (the cover). :D I don't recall ready many circus themed books, except for The Night Circus. So this sounds interesting! I loved the Night Circus Christy! This isn't like that one, well, not really other than the paranormal aspect but it is still really good. 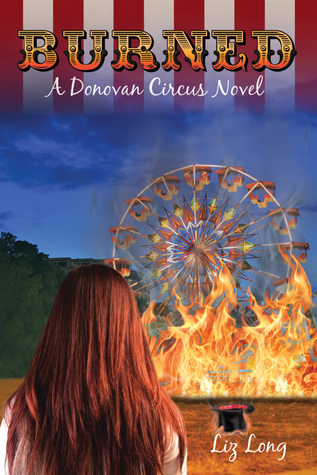 Great review...I am so hesitant about reading anything about a circus. A circus usually includes clowns. I am terrified of clowns. I know that is silly, but it is what it is. Even reading about them gives me the creeps...So I guess my question is..Does it have clowns? If not then I am adding this series..hehee! I think clowns are only mentioned once of twice and nothing scary! You are right, there aren't many Circus books out there, I have only read a couple. I think I would like this series. I hope you give this one a try Lily! For some reason, I am just not drawn to circus books. You review has me curious now though. I am so glad you enjoyed it. I do agree that they aren't for everyone. I do love reading about circus life and how people come together into such a unique world, but I don't often have the opportunity. The only books I've read that I can remember were Night Circus and Water for Elephants. I'll have to check this series out since you enjoyed it! I have read both of those as well Lauren and really liked them. This one is different from them but similarities are there.